The fourth issue of 'The World of Dogues de Bordeaux', the bi-annual which covers the worldwide interest in the breed is now available. 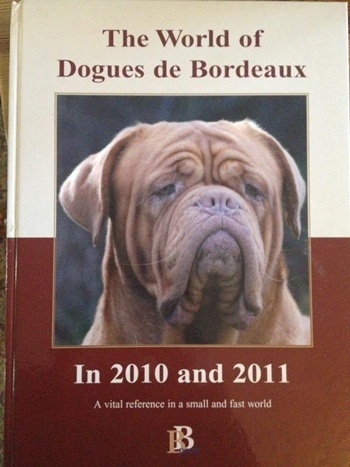 "The World of Dogues De Bordeaux in 2010 and 2011" is a beautiful, hardbound, collector's edition chronicling all that is DDB: country-by-country updates, champion listings and pedigrees, color photos, breed news and concerns from around the world. These books are a great source for research. We also have copies of the first three editions still available.